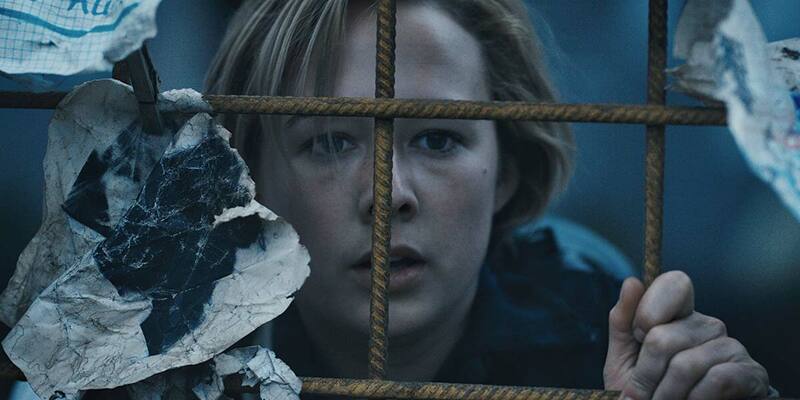 Being locked in a bunker on the day of an apocalypse can be a good thing. 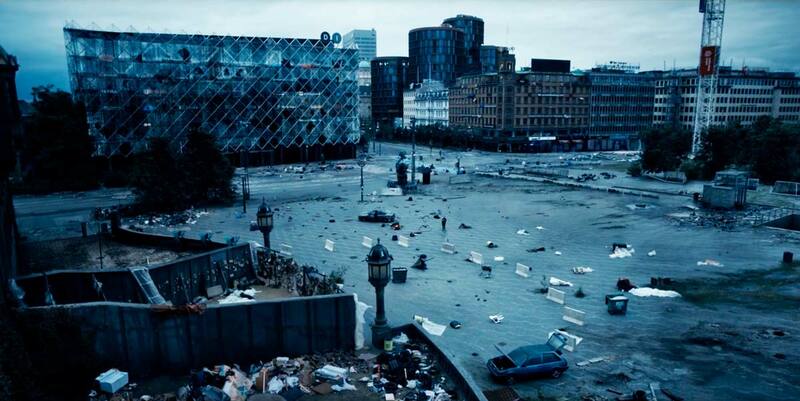 Take a bunch of twenty-somethings lost in a post-apocalyptic Danish wasteland and let them play. 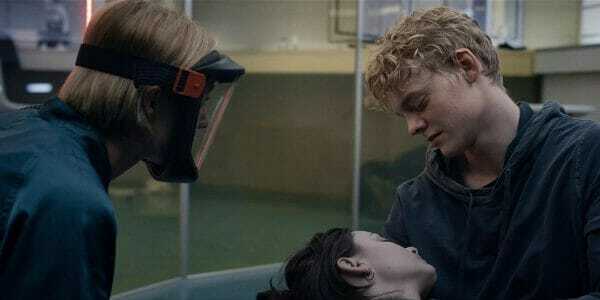 The premise for Season One of the Netflix produced ‘The Rain‘ seems on paper to be vanilla genre pulp. Thankfully, fresh concepts, solid performances, and a palpable sense of looming hope keeps us engaged throughout. 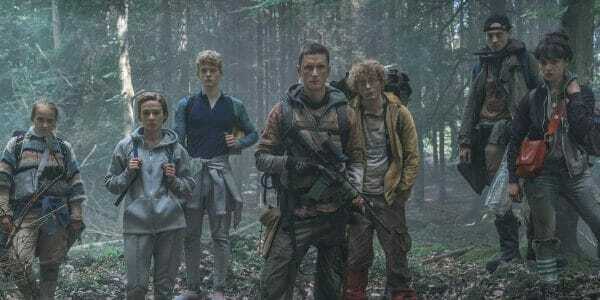 One seemingly normal day teenager Simone and her ten year old brother Rasmus are abruptly snatched up by their parents in a chaotic rush towards a mysterious forest bunker. And then the rain comes, killing everyone in its path. WTF?! We pick things up six years later. With food supplies gone these two siblings venture out into the unknown, much changed world in search of their long lost father. Making the weather itself a formidable enemy is an unique (and much welcomed) take on this well weathered [sic] genre. Once a rag-tag group of fellow survivors is established most of the standard genre cliches make appearances. Yet, the lush forest-lined Denmark settings mixed with genuine, unpolished performances offers something compelling and fresh if not altogether different. Simone (Alba August) explores a new world. Tough choices lead to tough sacrifices. Take seven delinquents, add an apocalypse, and just sit back and watch. Come visit beautiful downtown Copenhagen. Giving these characters just a hint of back story puts appropriate perspective on their survival at all costs motives. This is where TV excels above film, character building. And with only eight episodes there’s minimal filler. Credit to the creators/showrunners in ensuring the cast remain consistent with a decent balance of youthful “impulsiveness” and genuine likability. Only a handful of truly cringe-worthy teenage angst moments loom. 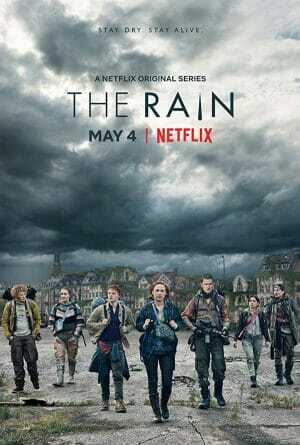 So tropes aside, Season One of Netflix’s ‘The Rain‘ is a solid, often fresh take on post-apocalyptic television. And there’s plenty of room for more should the series continue. (Renewal confirmed!) Just make sure you watch in Danish with subtitles to get the full experience as intended. Dubbing be damned. Sometimes different settings and a fresh concept is all it takes to liven up a tired genre. Having solid performances with believable (if somewhat annoying) characters definitely helps.